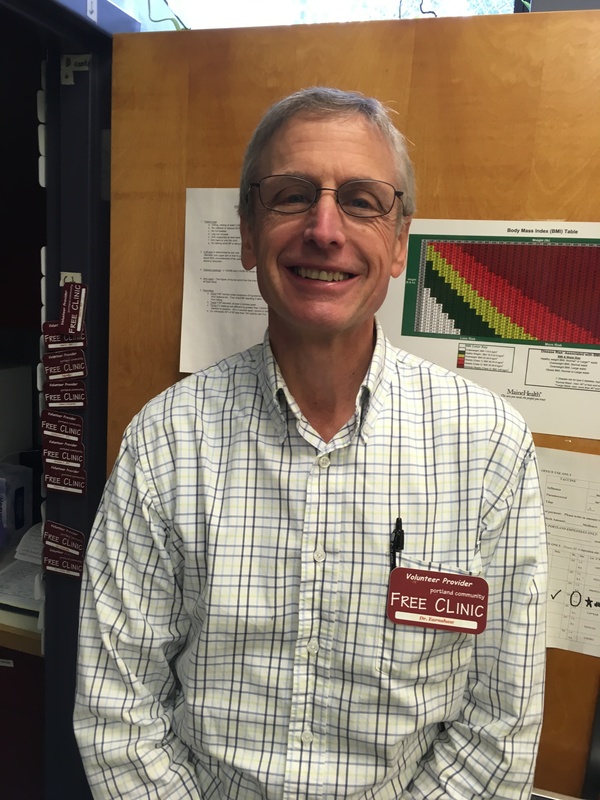 Dr. Mark Earnshaw has been volunteering for the Portland Community Free Clinic for 25 years, since the very beginning of its existence. Beginning in May, 2018, he will be taking a leave of absence from the PCFC and Maine Medical Center where he has worked in Emergency Medicine for 29 years. Along with his wife, Marvel, Mark is embarking on a life-changing event volunteering for a study abroad program in Israel at Brigham Young University’s campus, The Jerusalem Center for Near Eastern Studies. For approximately 18 months Mark and Marvel will serve as a support couple/dorm parents to 60 college students enrolled in the semester study abroad program of Brigham Young University. While there, they will be engaged in humanitarian outreach activities involving both Jewish and Palestinian populations, lead campus tours, and host musical concerts and forum speakers on a weekly basis for the students and local community. Mark will use his medical skills as he travels with the students on field trips through the Holy Land, as well as to Amman, Jordan; Cairo, Egypt; and Athens, Greece. Community volunteer work has been important to Mark throughout his time in Maine and in his career and sees his time in Israel as an extension of this commitment. The Portland Community Free Clinic has been one small way to give back to those who are underserved and most vulnerable. Staff and volunteers will miss Mark during his 18 month adventure, but we look forward to welcoming him back when he returns home in 2020–with lots of stories and pictures! Volunteers like Mark make the PCFC a very special place and an important part of healthcare delivery in Greater Portland, Maine. Please consider at $25.00 donation to the PCFC to honor Mark and support the ongoing mission of the clinic as part of our 25th Anniversary Celebration. You may donate online securely by clicking anywhere in this paragraph.